Weight loss is tough. There are no alternatives to exercising and healthy eating, of course, but when it comes to getting that slimmer figure you've always wanted certain weight loss supplements and appetite suppressants can help. One such suppressant is the Petite Body Weight Loss Supplement. This supplement includes powerful, fat-burning ingredients. These include an extract of Garcinia cambogia, a tree from Asia that produces tropical fruit Asia. It blocks the effects of enzyme citrate lyase, a chemical which produces fat. Garcinia cambogia extract also increases your brain’s serotonin levels, which has the effect of reducing cravings, as well as suppressing your appetite more generally. In terms of ingredients, this weight loss supplement also contains glucomannan, which is a sugar derived from the root of Asia’s konjac plant. According to a scientific study, participants who used glucomannan over a periods of two months reported a mean weight loss of 5.5. pounds. Moreover, glucomannan is used to help people with constipation, type 2 diabetes, controlling blood sugar, and lowering cholesterol levels. A third ingredient is caralluma fimbriata extract. This is a succulent plant found in Africa and Asia; it acts as a natural hunger suppressant. It also enhances your stamina. Moreover, one study shows that caralluma extract may help prevent pre-fat cells from developing into mature fat cells. This weight loss supplement also contains berries from the Cha de Bugre, which is a tree that is found in Latin America, particularly Brazil. It has been used to fight obesity in its native region for a long time. Moreover, it can also be used to fight the growth of cellulite, coughs and fluid retention. It is also used as general medicine that can also improve blood flow and the workings of the heart. It is also used to treat viral infections, fevers, and gout. Aside from its ingredients, Petite Body’s weight loss supplement also contains 7 enzymes: cellulase powder, papain powder, bromelain powder, glucoamylase powder, lipase powder, amylase powder, and protease power. On the molecular level, these will help you lose weight by helping you with your digestion. 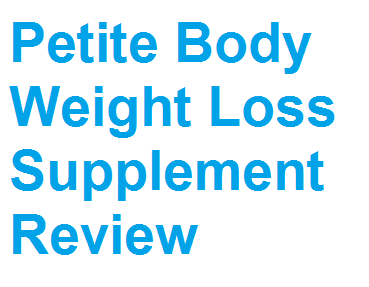 Many people who have used the Petite Body weight loss supplement have reported that they started feeling better soon after they started. They had more energy and felt more confident. Others report that they lost a significant amount of weight while using the supplement up to 30 pounds, in some cases. If you're considering using supplements to help you lose weight, you absolutely must take certain precautions. First of all, don't start taking any supplement without consulting your doctor before. They are well-acquainted with your body’s needs and health. Further, many people have had fatal reactions when the supplement they were taking interacted with their normal medication. Also, many people have allergies to weight loss supplements, so that's something else to keep in mind. Second, make sure you do lot of research before committing to anything, as not every weight loss supplement complies with FDA standards. It's always best to be informed.